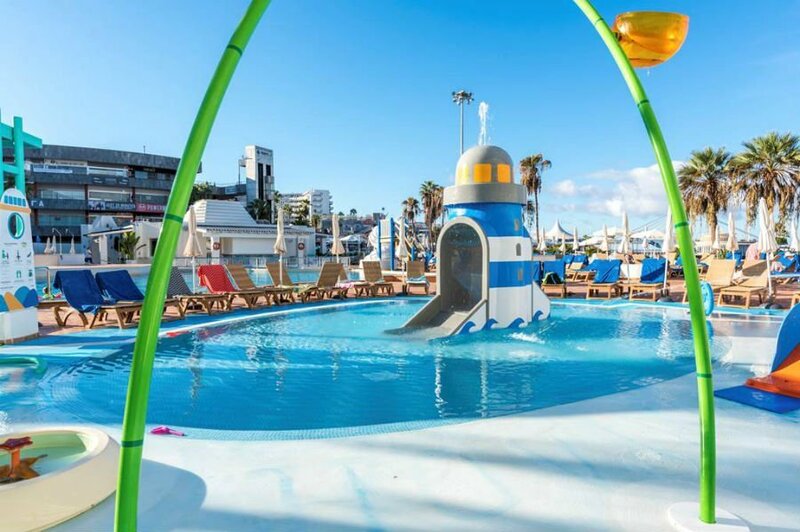 A guide to the best baby and toddler friendly hotels in Tenerife, including hotels with splash parks, near the beach and within easy reach of Siam Park. 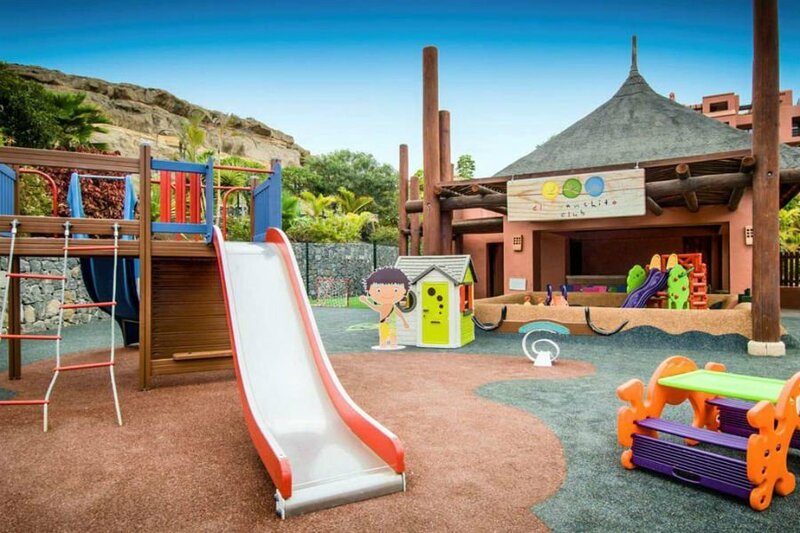 Discover the best places to stay with babies and toddlers in Tenerife. 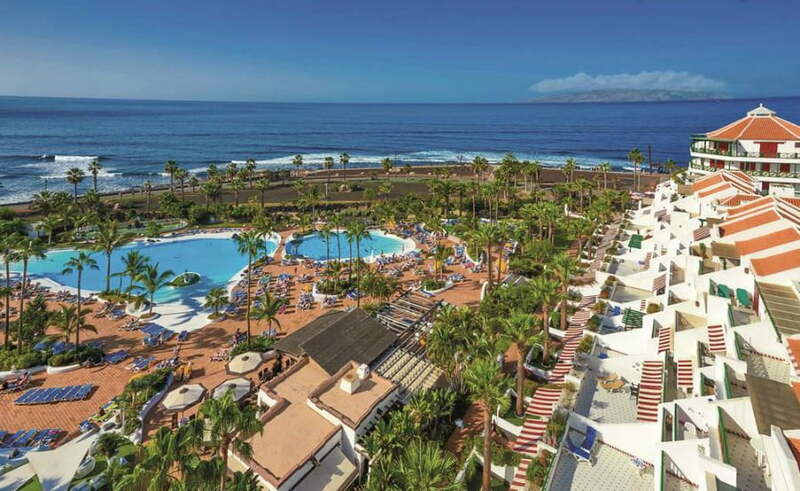 The 5* Adrian Roca Nivaria Gran Hotel has impressive seaviews over to the neighbouring island of La Gomera. 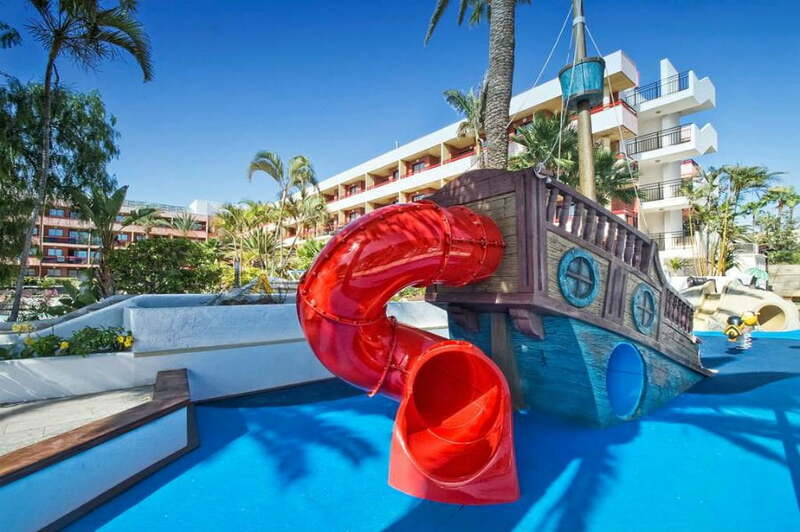 Adults will love the infinity pools, stunning gardens and spa and babies and toddlers will love the pirate ship, indoor soft play and Roni, the hotel mascot. There is a kids club for children aged 10 months – 3 years where little ones can do arts and crafts, play games and listen to stories. There are 3 restaurants and a kids buffet is served in one of the restaurants. 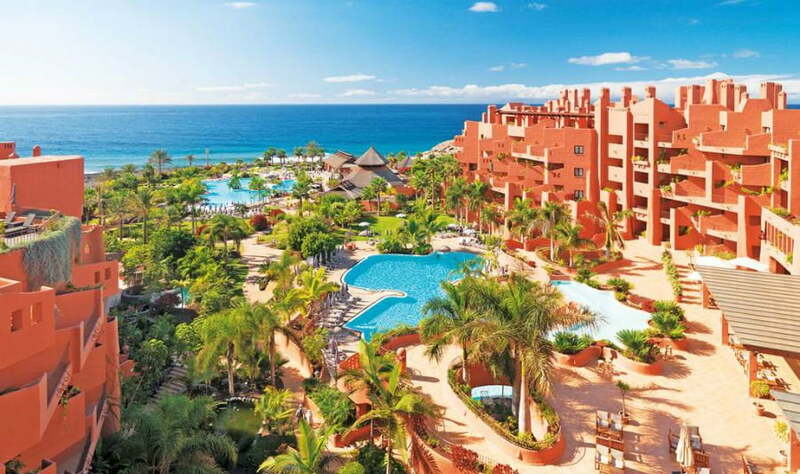 This new Fantasia Bahia Principe is a brand new 5* hotel in Tenerife which is amazing for babies and toddlers! 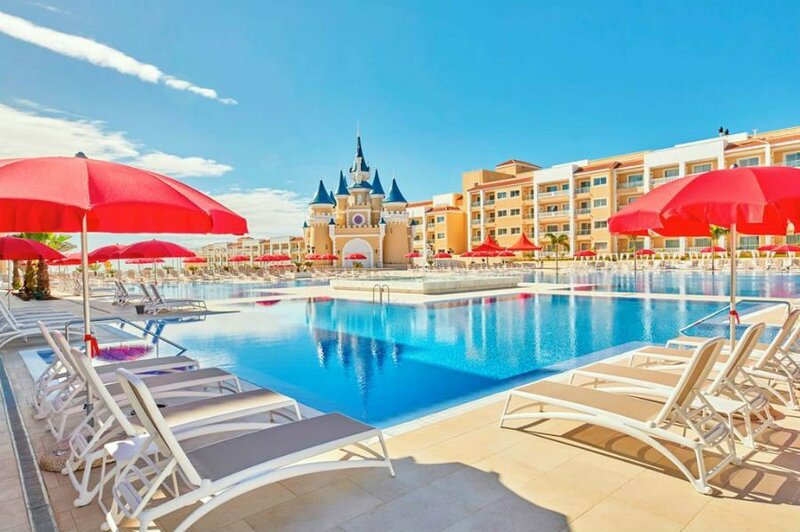 There is a fairytale Cinderella style castle, heated kids swimming pool, all days kids clubs (for children aged 3+), mini discos and evening entertainment. 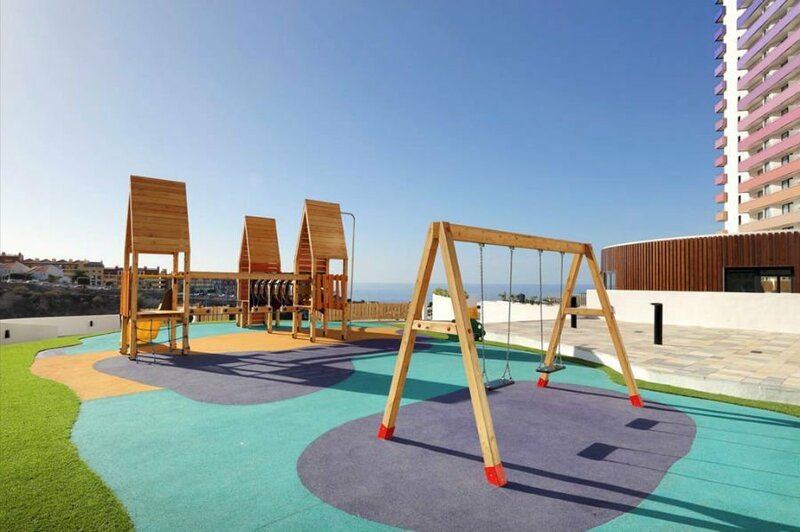 Babies and toddlers will love the 2 splash parks and 5 outdoor swimming pools and playground. 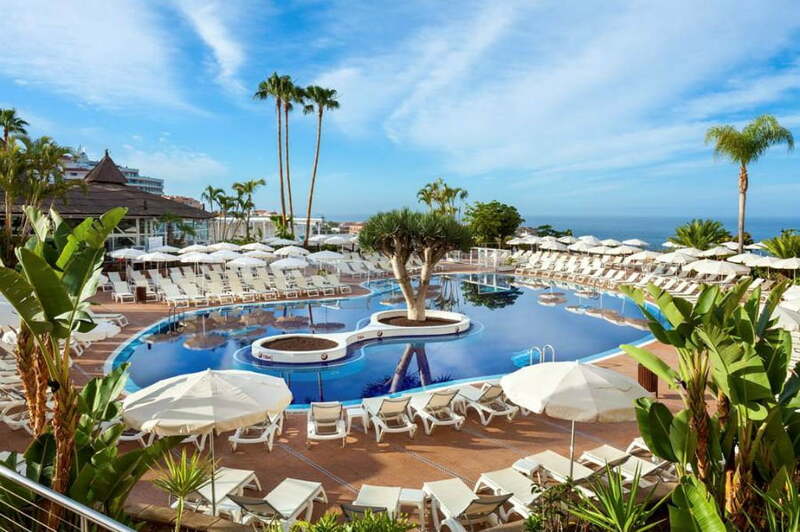 There is also plenty for adults at the Fantasia Bahia Principe Tenerife including 3 a la carte restaurants and of course the rejuvenating the Spa. Family master suites are available with big comfy beds and blackout blinds to give you the best chance of a lie in! All Inclusive is available. 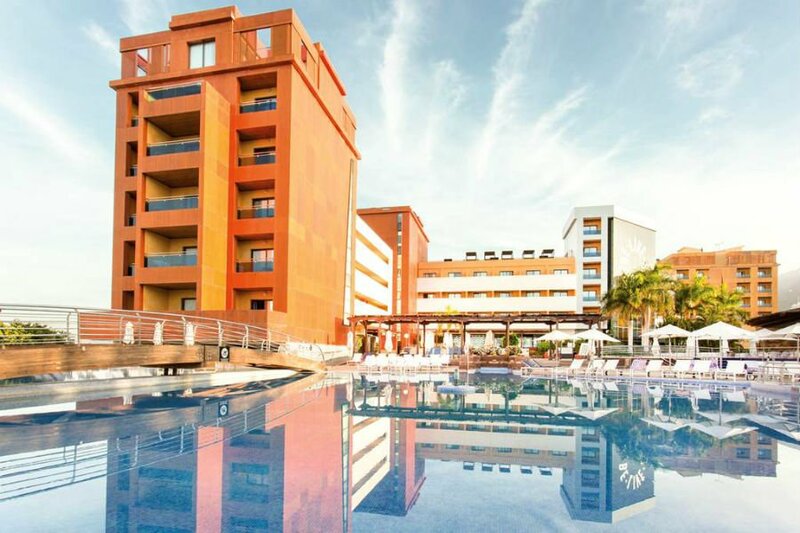 The HOVIMA La Pinta Beachfront Family hotel has been recently refurbished and is a modern baby and toddler friendly hotel in Costa Adeje. 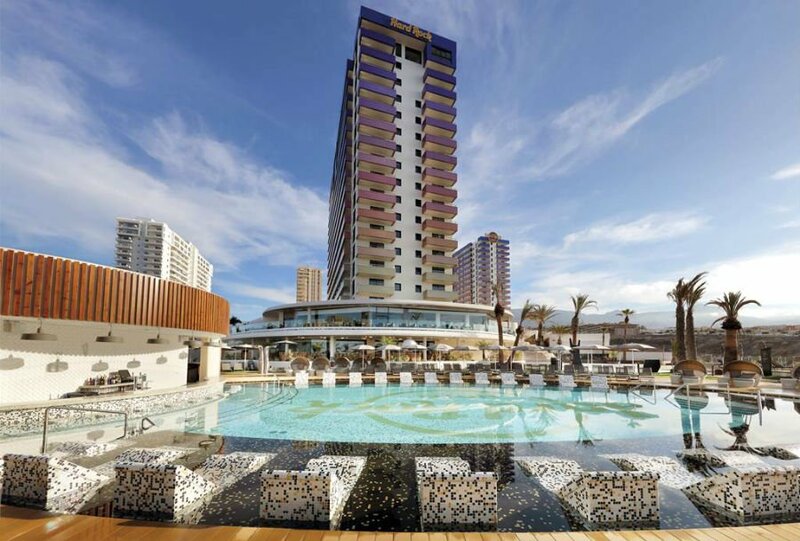 The hotel takes its inspiration from its beachfront location and has nautical colours throughout, under the sea themed decorations and an interactive virtual aquarium. 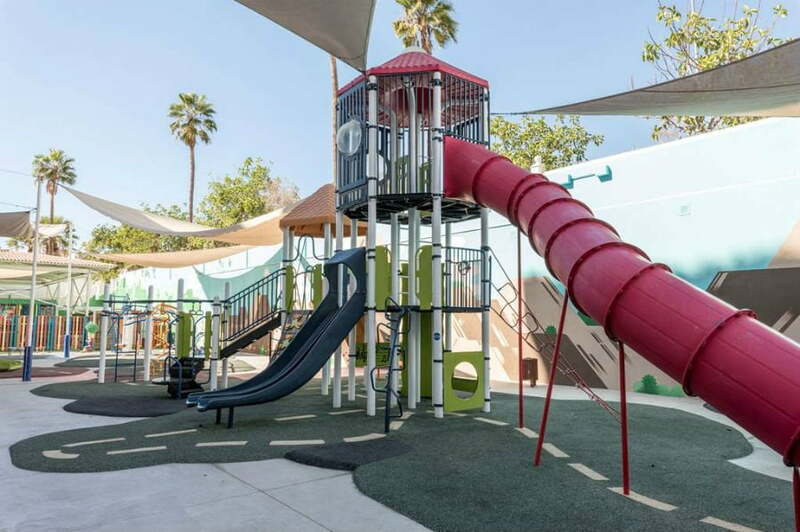 There is a splash park, playground and family rooms which have direct access to the children’s splash park. This is a great choice for larger families as 2 and 3 bedroom apartments are available. 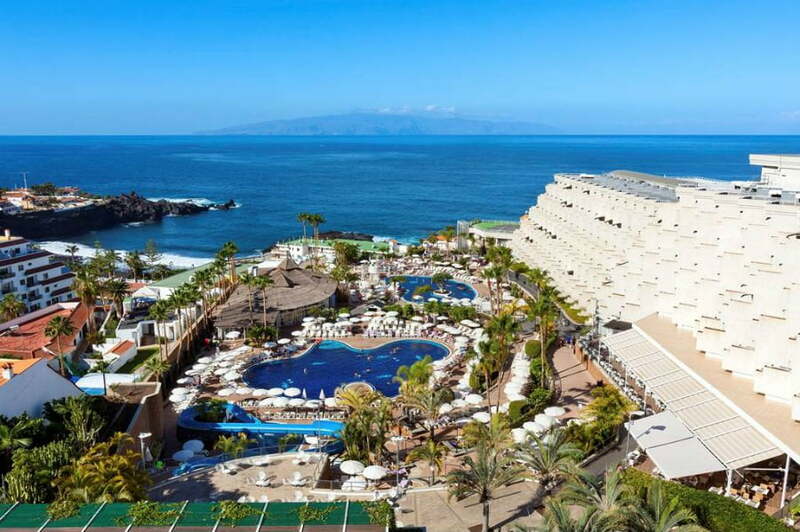 The Sheraton La Caleta is a luxury resort designed in the style of a Canarian village. It is in a great location just 100m away from bars and restaurants and 200m from the beach. 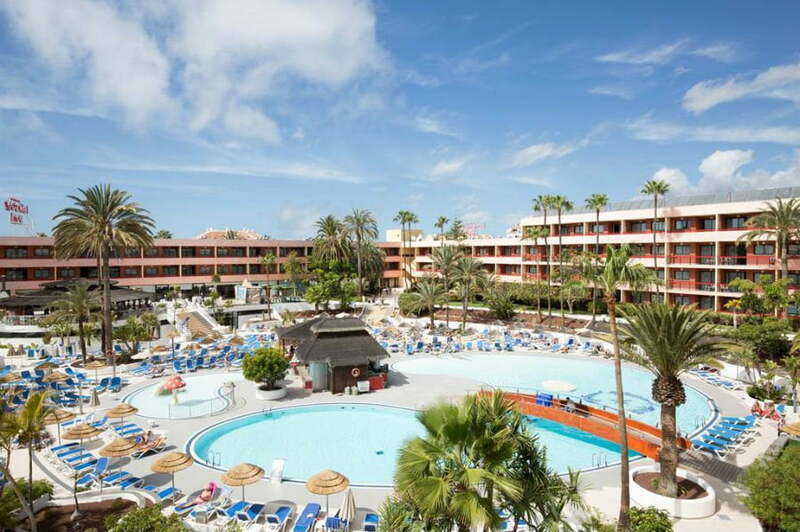 There are 5 outdoor swimming pools including a heated children’s swimming pool surrounded by sunbeds and umbrellas. There are also baby changing facilities around the pool. 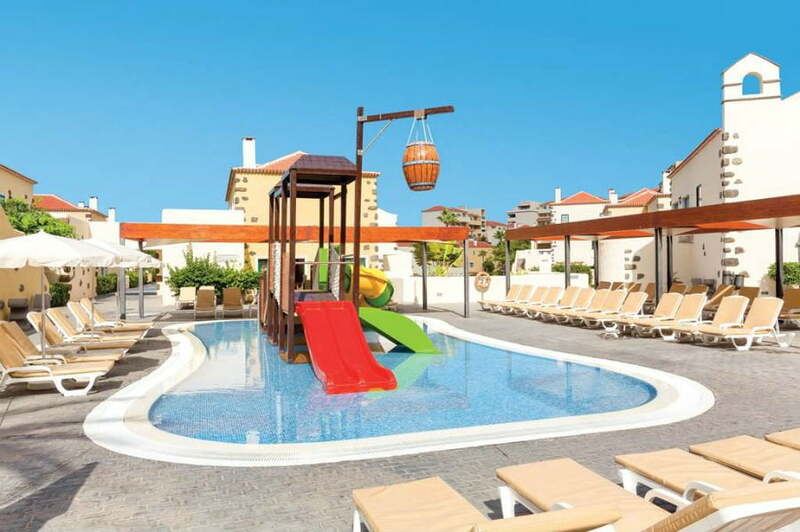 Away from the pool is an adventure play area. The Gauchito Club is for 3 – 12 year olds and kids can take part in fun activities like arts and crafts, team games and movie nights. Whilst your little one has fun at the Kids Club, you can escape to the Spa Eutonos which has a thalasso vitality pool with hydrotherapy body jets, ice igloo, sauna, steam room, whirlpool and massage treatments. 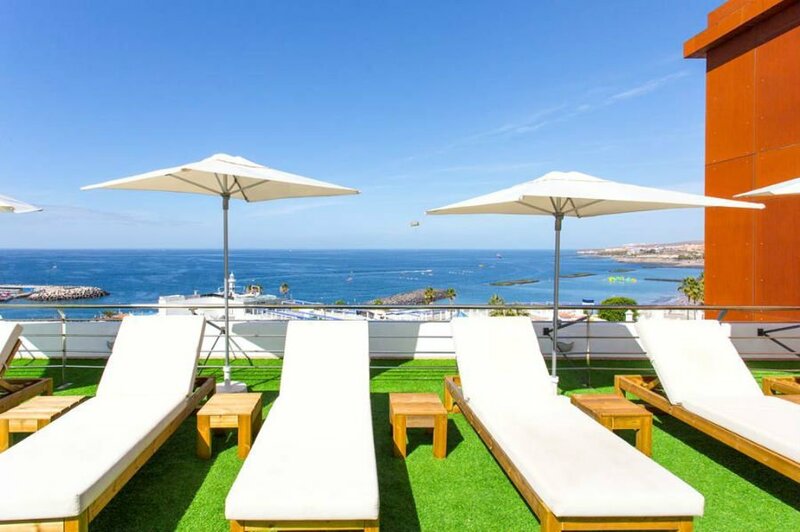 There are a huge range of rooms at the Sheraton La Caleta ranging from Club Rooms with Executive room access and sea view to Deluxe rooms and suites and premium rooms. Breakfast is served until 11am which is good for families who like a lie in a morning. Bed and Breakfast, half board and full board basis’ are available. 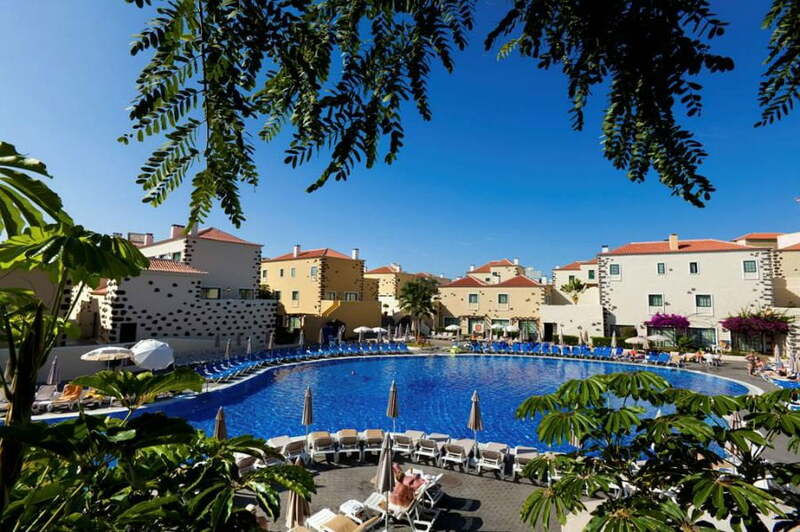 Good for – Families looking for a relaxing peaceful stay in a luxury hotel close to the beach. 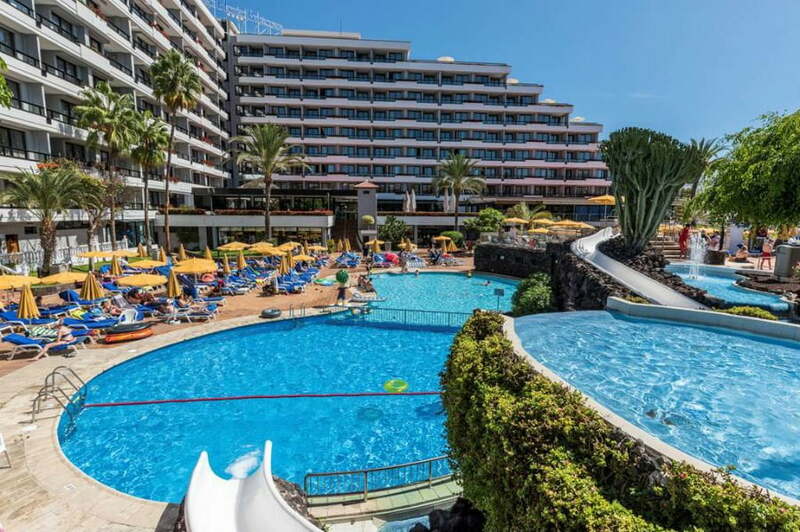 The Hotel La Siesta is in a great location in the centre of Playa De Las Americas with the Safari Shopping Centre on its doorstep. There is an outdoor children’s swimming pool which is heated in the winter months, and a children’s playground. The Magic Park is suitable for children aged 4-9 and has a soft play area, ball pool, climbing frame and slides. 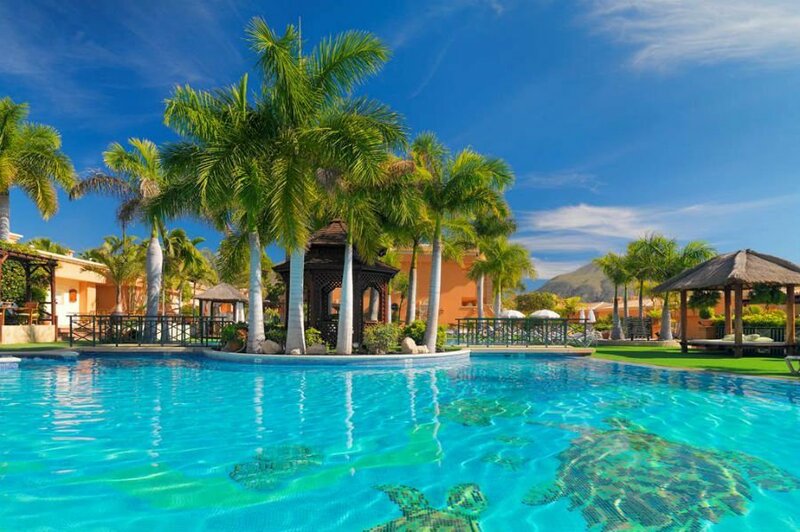 The hotel has a Spa and Wellness centre which runs daily spa sessions for families (aged 7+). If you upgrade to a Club Alexandre room, you will get a pool view and unlimited entry to the Natural Spa and Wellness Centre. Free shuttle buses run to the beach, resort centre and Siam Park water park. Guests staying at the Be Live Experience La Nina can enjoy direct access to the sandy beach at Puerto Colon beach. The hotel is stylish, bright and modern and had recently been refurbished. There are 3 outdoor swimming pools including a separate kids swimming pool, and a children’s section in the main pool. There is also an indoor play area for children aged 3+. Stay in a Better Together Family Room which includes a playstation, welcome gift for children, free WIFI, mini bar with welcome pack and Nespresso coffee machine. It also includes 3 a la carte meals per week in the restaurant. All-inclusive or all-inclusive board basis is available. Good For -Families wanting to stay somewhere close to a sandy beach. 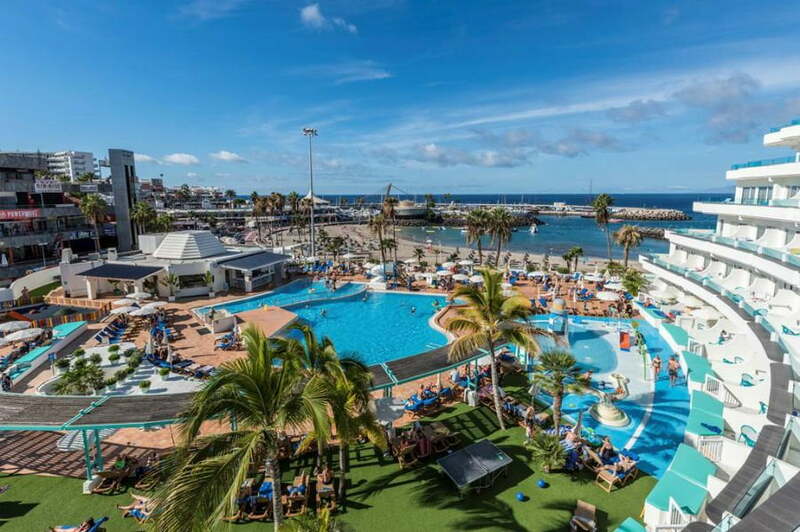 Life revolves around the huge pool at the Holiday Village Tenerife. 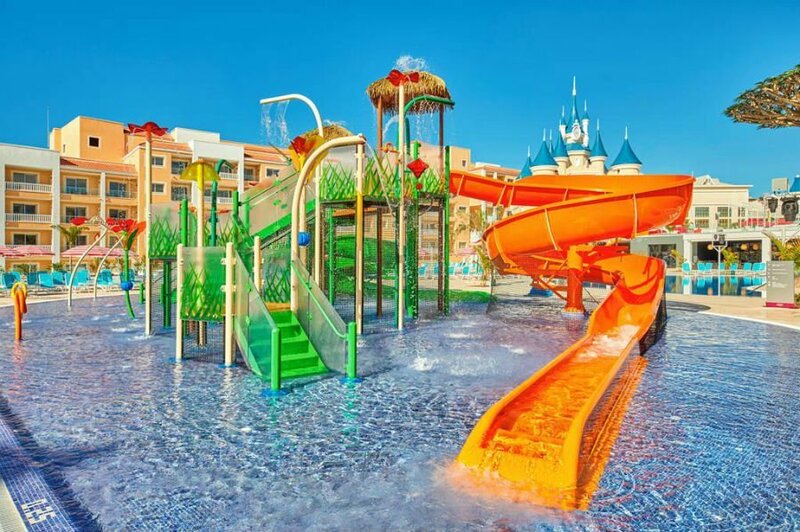 There are 3 outdoor swimming pools, an indoor pool, a kids pool, 2 baby splash pools and a Kids waterslide. 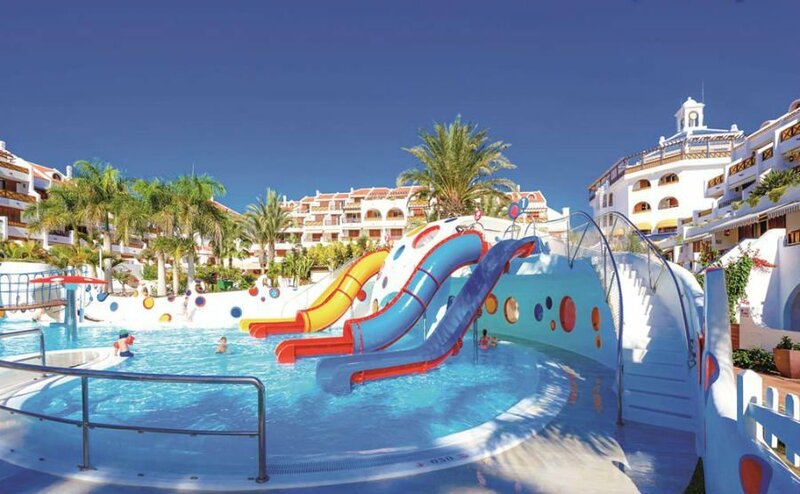 The hotel also arranges swimming lessons for children aged 3+ taught by qualified ASA teachers. Away from the pool, there is a playground and a packed daytime activity schedule before the mini disco and evening entertainment takes over. The beach is just a 10 minute walk away. There is a Twinkle Stars crèche manned by qualified UK staff which looks after younger children, and children aged 3- 5 can have fun at the Little Stars Kids Club which opens 7 day a week and is free for guests. Accommodation is in a variety of suites, with Superior suites including children’s bedding, a highchair, baby change, step stool, a minibar with a welcome pack of yoghurts and snacks and a special children’s gift on arrival. There are lots of restaurants onsite, and kids dining is available in the buffet restaurant. 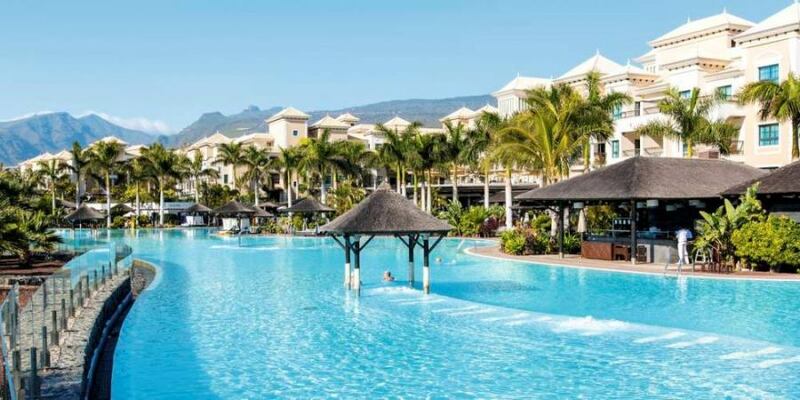 Good For – Families who want to stay in a bustling resort with plenty for babies and toddlers to do, which is close to the beach.